Nice. I saw one two times in California. One immature, the other one adult. 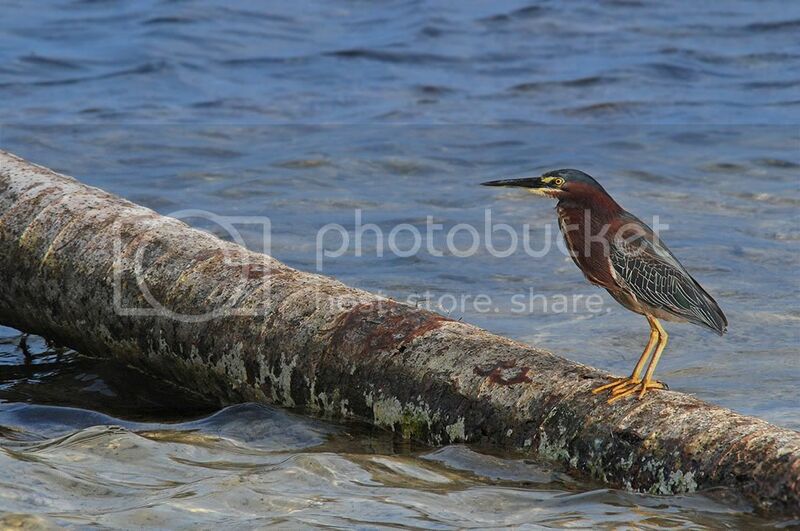 I've never understood why they are called 'green' heron. It doesn't seem green does it. I walked home from work yesterday. This guy was out of place on the Caribbean side in the sea when usually found in the mangrove or littoral forest of the islands lagoon side. Hes in front of an area that has recently had its littoral forest and mangroves bulldozed for development. I guess hes adapting by fishing in the sea instead of the lagoon. thanks, but why call him a green heron? One wonders why they aren't called Burgundy Herons, or Maroon Herons. I see very little green on them.